The 101/EXHIBIT Gallery in Los Angeles has profiled itself as one of the leading galleries of contemporary art in the wider LA area. 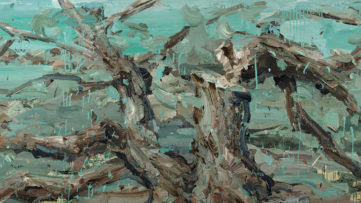 With two exhibition spaces in West and Central Hollywood, the gallery is well-known for exhibiting works by the artists whose main motifs are reflections on the postmodern society we live in (you can check our articles about the exhibitions of Kent Williams, Micah Ganske and Robin Eley at the 101/EXHIBIT). However, the gallery also exhibits the works produced in other styles and genres as well. This time, the gallery organizes the exhibition of Colin Chillag, a Phoenix-based artist widely recognized for his hyperrealist approach. The exhibition Anti-Realism at 101/EXHIBIT will show new works by Chillag. Left: Colin Chillag – Aversion and the Insubstantiality of Self (Ken Looking at Dave), 2014/ Oil on panel, 15×14 1/8 in. 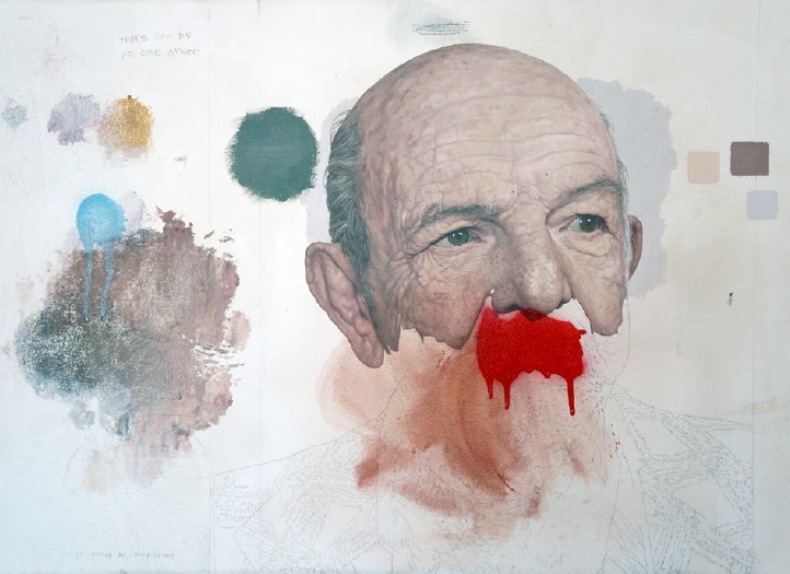 / Right: Colin Chillag – Old Man with Blue Hat, 2011-2014. Oil on canvas, 29 1/4 x 23 1/4 in. Colin Chillag’s admiration for the complexity and multilayeredness of the visible world moved him to the realm of the hyperrealism. His attention is to capture the world as objectively as possible, to artistically re-interpret the reality around us. 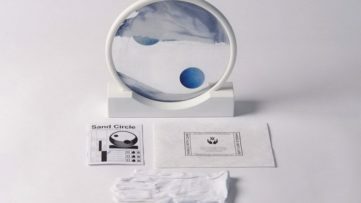 Although Chillag is aware of the fact that the objective truth is almost impossible to be represented in any other way than as simple pictorial representation, he uses hyperrealist style during the process of the art creation. However, Chillag accepts the fact that the complete hyperrealist work is more real than the real; therefore he accepts “failure”. He never finishes his paintings, but leaves some parts of it to be completed by the viewers. 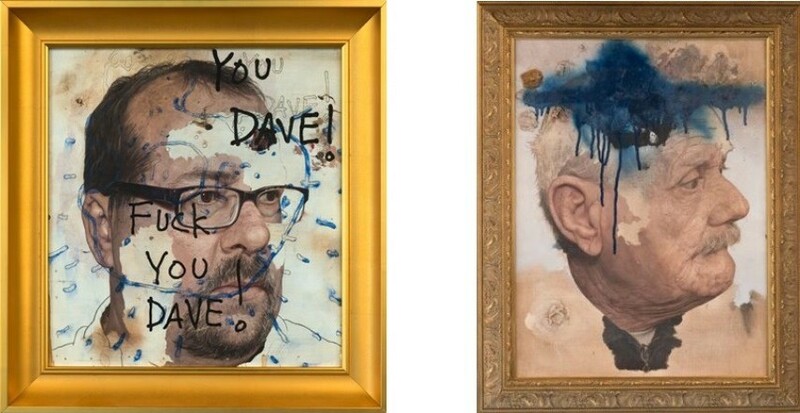 Even his deconstructed portraits remain “unfinished”. Or to put it simpler – if something is already photographed, there is no human hand capable to represent in detail what is already captured by camera. In order to escape this hyperrealist maze, Chillag abandons the hyperrealism for a moment. Therefore, his works are often accompanied by sketches, notes-to-self or under-paintings. This way, the viewers are able to perceive the process of artist’s attempts and desire to capture the real. 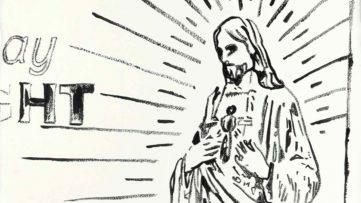 The exhibition’s title Anti-Realism probably covers the best the artist’s interaction with the reality. 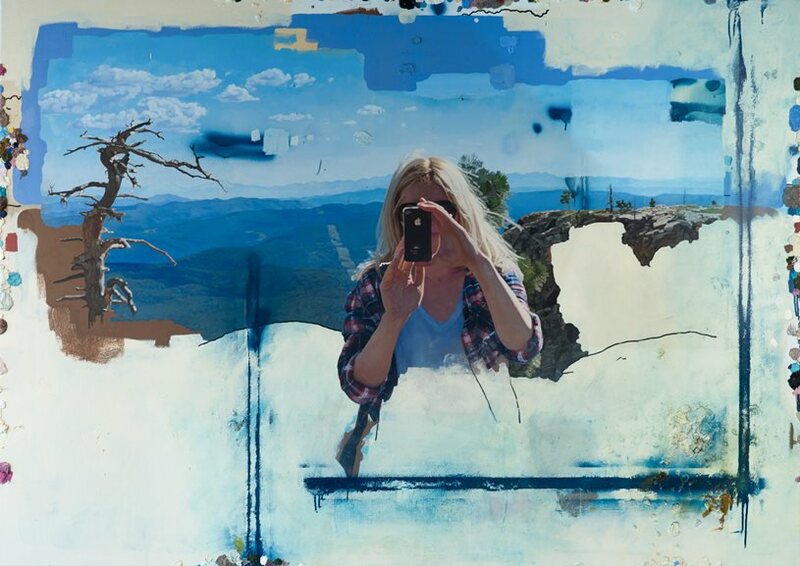 Colin Chillag – Portrait of Jenna Taking a Self Portrait, 2014. Oil on canvas 54×76 1/8 in. The exhibition entitled Anti-Realism will show all the complexity of the Chillag’s oeuvre. The artist’s desire to study the world as objectively as possible overlays the subject matter of his works. Portraits, family members, Arizonan gas stations, crowded city streets, everyday life – all of these is captured by Chillag’s paintings. The artist spends months translating photographs. Scratches appear alongside passages of detailed realism. Additionally, the final composition includes notes, to-do lists, color mixing tests, laconic spray-painted lines. The exhibition of Colin Chillag represents a perfect opportunity for the viewers to communicate with the artistic works. Since the artist leaves his works “unfinished”, he gives the space to the viewers to capture the reality together with him. Colin Chillag – Man with Red Moustache, 2014-2015. Oil on canvas, 18×24 in. Colin Chillag has exhibited in some of the most recognized galleries in the United States. The Anti-Realism exhibition is Chillag’s second solo exhibition with 101/EXHIBIT. The show will be accompanied by a 300 count limited edition show poster replicating the work from the exhibition. The exhibition of Colin Chillag Anti-Realism at 101/EXHIBIT in Los Angeles will be on view from February 28th until April 18th. Sign up for MyWidewalls, and be informed about upcoming exhibitions! 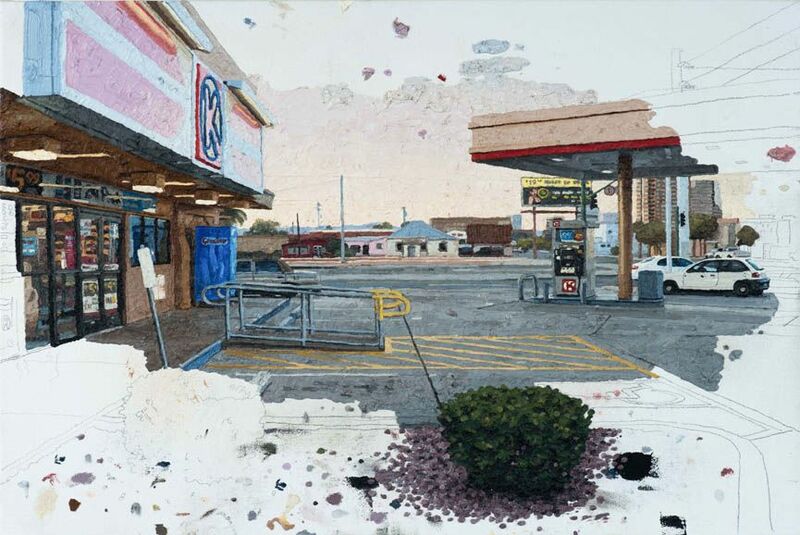 Colin Chillag – Circle K Dawn, 2014. Oil on canvas, 18×24 in. 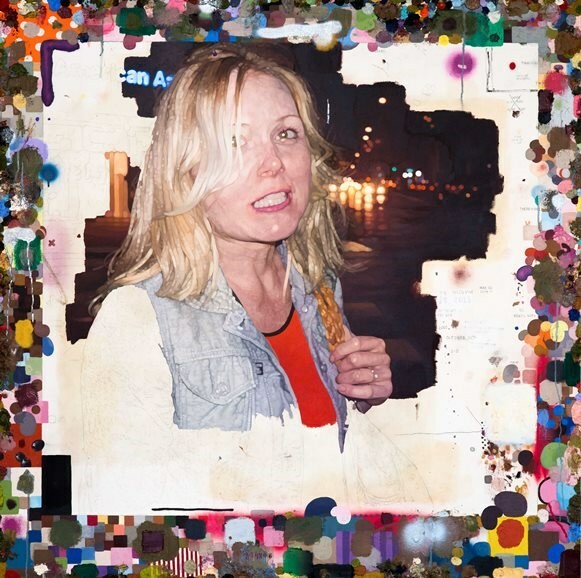 Colin Chillag – Jenna at Night with Decorative Border, 2014-2015. Oil on canvas 54 1/4 x54 1/4 in. 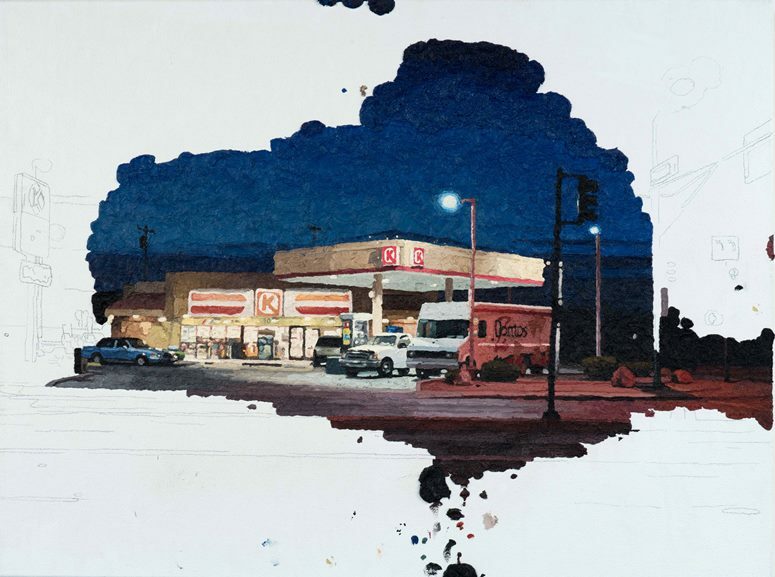 Featured Image: Colin Chillag – Circle K Dusk, 2014. Oil on canvas, 18×24 in. All Images courtesy of 101/EXHIBIT Gallery.